With water temperature being such a critical factor for the well-being of fish, it's important to have a good aquarium thermometer. 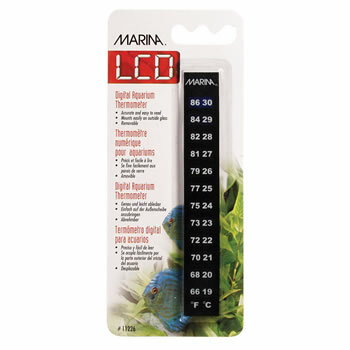 This Marina LCD vertical mount liquid crystal thermometer provides accurate and easy to read temperatures readings in both Fahrenheit and Centigrade. 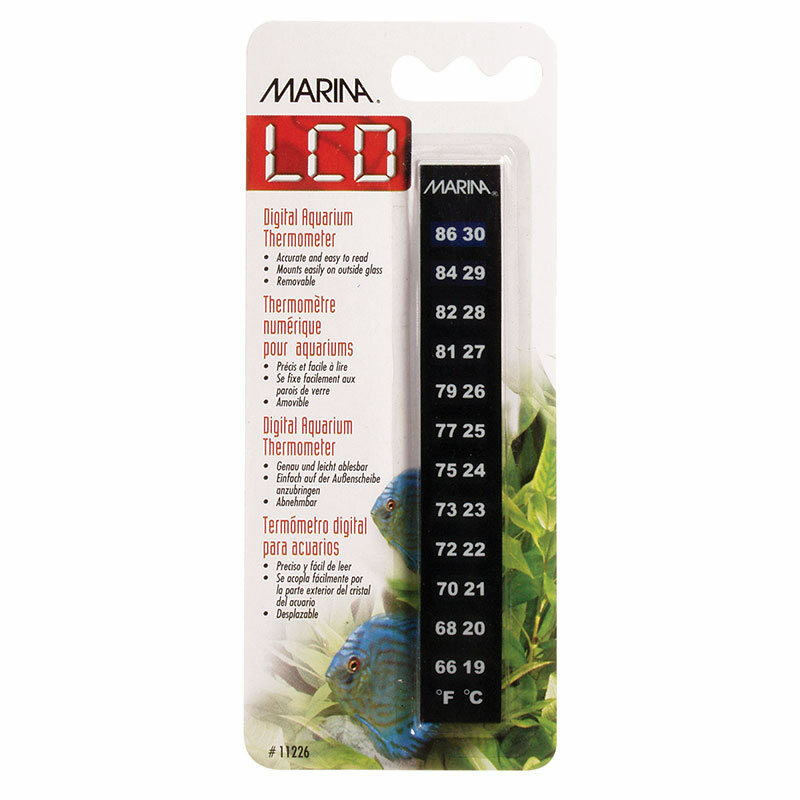 Ideal for all fresh and salt water aquariums, the Marina LCD Thermometer comes with an adhesive backing that makes mounting to the outside glass easy.